Thanks Maily for such a glowing review. Your kitchen renovation is gorgeous - enjoy! Thanks for your review Kirsten. We are so proud of the Zesta Team and our customer service. It is great to hear you love your kitchen - enjoy with family and friends for many years to come! Thank you Barbara for your review. It is fantastic for us to hear that you were happy from the initial team in the showroom to the Kitchen Design and Installation by our trades. We had a complete kitchen renovation for our new extension and we love the result. 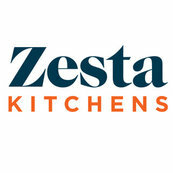 We have just completed our kitchen renovation with Zesta Kitchens and couldn’t believe how stress free and efficient this company was to deal with. Thank you Andrea, we are proud of our workmanship and team at Zesta Kitchens - enjoy cooking in your new kitchen!